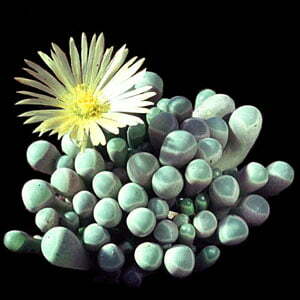 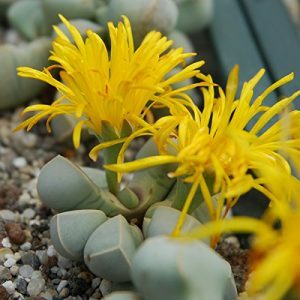 Lithops & Living Stones like Conophytum, Lapidaria and Argyroderma belong to the group of Mesembs. 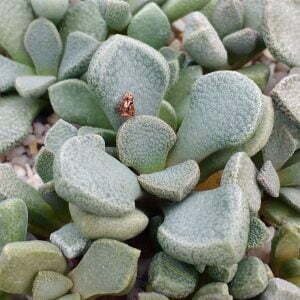 Many can be found in South Africa. 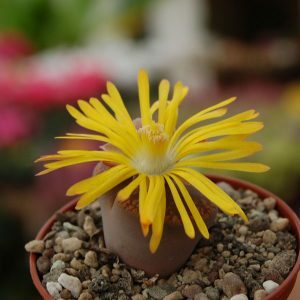 How do I grow and care for Lithops and other Mesembs? 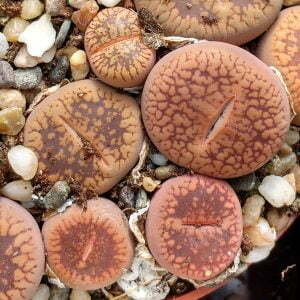 Lithops like it hot and prefer bright light. 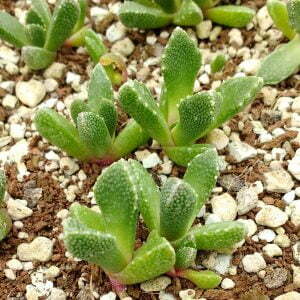 They require a soil mixture with good drainage. 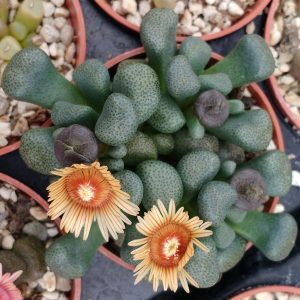 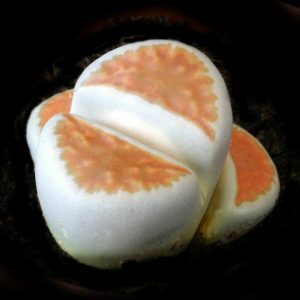 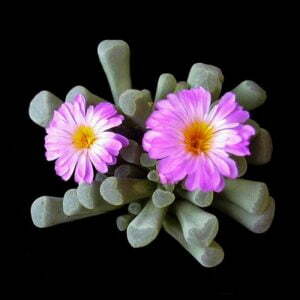 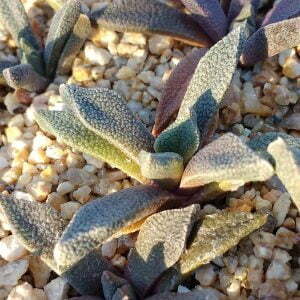 You can grow them in pure pumice (Bims) or in a special Lithops soil mix. 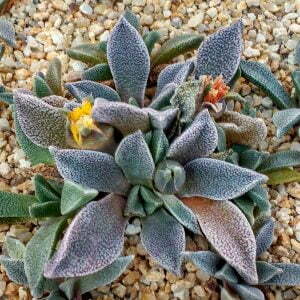 A greenhouse or windowsill facing the south are good spots to place your Mesembs. 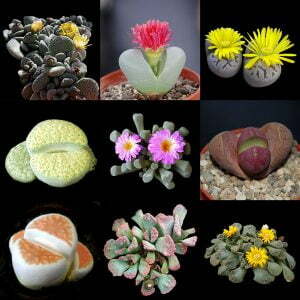 Lithops show most growth activity in spring and autumn. 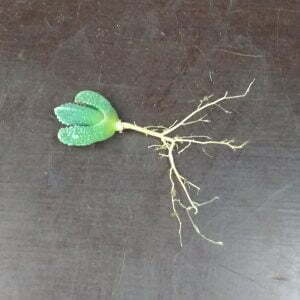 This is the best time to water them. 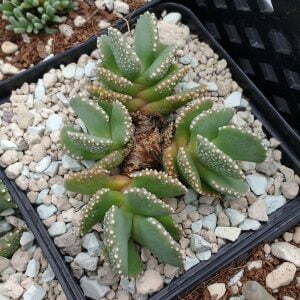 Water less in winter and summer when it is very hot. 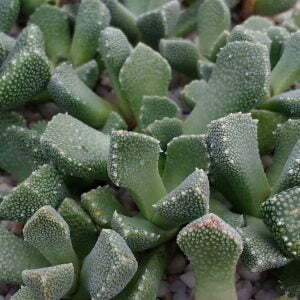 On a hot summer day they do like an occasional spray with water in the evening. 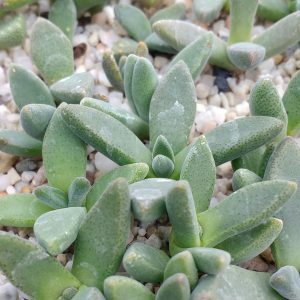 Repotting can best be done in early spring or autumn. 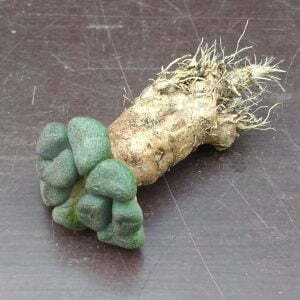 Make sure you trim the roots a bit before you place them in their new container.